Browse: Home / 2008 / March / 12 / Welcome to San Francisco! , originally uploaded by ms trouble. This is why I love California, and why I don’t mind a 500 mile trip up to SF sometimes. Wow, that’s way better than mine! 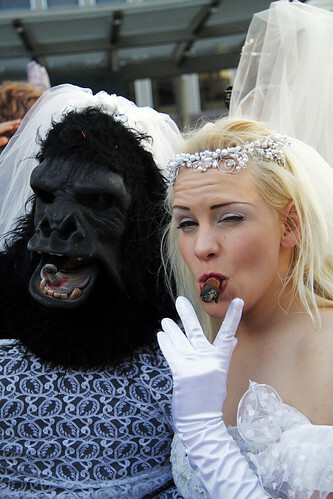 are you the gorilla or the cigar smoker? Up there I can be both!